Sculpture School is a 501(c)(3) nonprofit arts education organization that fosters a collaboration of arts, engineering, and community. 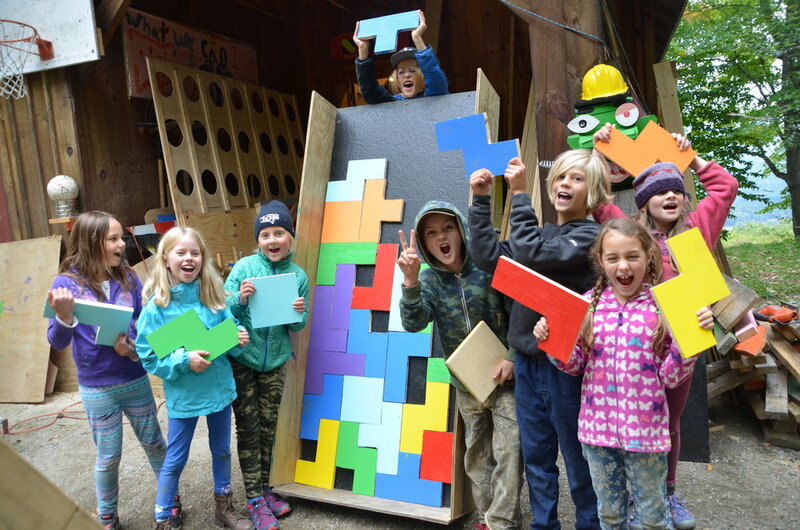 Our programs promote creative autonomy, reuse of materials, and design thinking, while serving as an accessible workspace for youth and families in the Mad River Valley of Vermont. Our mission is to deepen our impact in our local community by creating experiences that will energize the next generation to carve out a place in the world as makers, fixers, do-ers and innovators – rather than solely consumers. Our hands-on, collaborative programs are designed to prompt kids to approach the world with a newfound sense of curiosity and courage, understanding that no problem is so big that it can't be solved with imagination and teamwork. We focus on what engages and matters to kids themselves, and we trust them – not only with power tools, but with large-scale projects and real community clients. When Sculpture School began in fall of 2014, it was an afterschool class for a small group of local kids. They had access to recycled materials and power tools, and were given freedom to express their creativity within a learning environment led by their own curiosities and intuition. What emerged were life-size figurative sculptures, furniture pieces, and other wooden structures that far surpassed any of our expectations of what kids were capable of making. Since that first program, we’ve continued experimenting with small group engagements while exploring new methods of fusing art with engineering. Our projects have included a summer boat building program where we collect thousands of plastic bottles from our community and repurpose them to build recycled boats. We have also built a 120-foot-long wooden rollercoaster out of plywood and 2x4’s, teaching students math, woodworking, and engineering throughout the process. Every spring, as one of our longest standing traditions, we’ve taken students through the design process of making soapbox derby cars – sketching, prototyping, constructing, adjusting, and finally showcasing their rideable sculptures for families and friends at our annual community event at Knoll Farm in Fayston, VT.